There are few things in life that can be as cathartic as a good cry, especially in high-pressure or overwhelming situations. Fighting with your significant other? Cry it out. Catch a Google Chrome commercial on TV? Let them tears go. Have to say goodbye to your daughter Liv Tyler before manually detonating a bomb in outer space to destroy the asteroid that's headed directly towards Earth and about to wipe out all mankind? If there was ever a good time to sob, this is it, except, wait, you can't, not because you're a tough oil driller played by Bruce Willis, but because it's physically impossible to cry in space. Sure, your eyes can water — not even the final frontier can take away a man's basic right to well up — but, because of the lack of gravity, tears are unable to fall and flow downward. Not only is this a blow to stress relief and cinematic closeups, but it can also be quite painful to the eye. Tears, in theory, shouldn't hurt. We don't know why, exactly, we cry, but we're pretty sure that the action, evolutionarily, has a palliative effect. Tears should soothe, not sting. 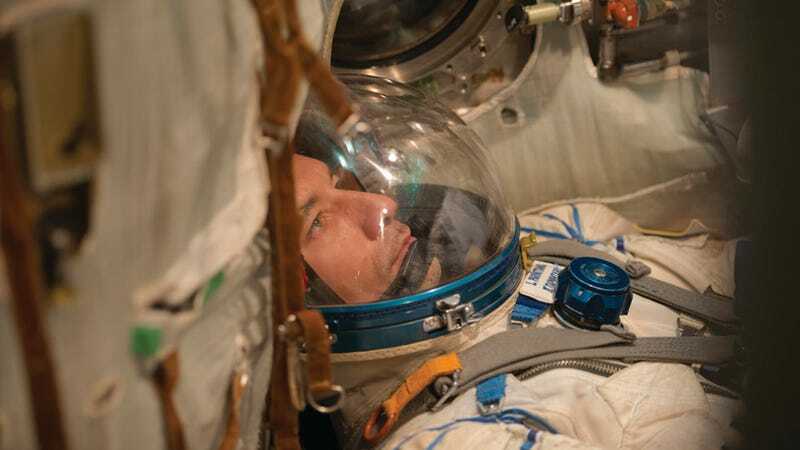 But we know as well that life in near-zero-gravity can have a deleterious effect on human vision — and one explanation for that could be fluids shifting toward the head during long-term stays in microgravity. It could be that space gives you a pretty wretched case of dry eye — and that sudden moisture to the cornea, particularly when it takes the form of (eeesh) "a liquid ball," could sting rather than soothe. Sorry, astronauts. In lieu of crying, you will have to content yourselves with daintily dabbing at your eyes or, if you're really feeling desperate, making all the crying noises without actually shedding tears.